Henschel- The Explorer Hat. 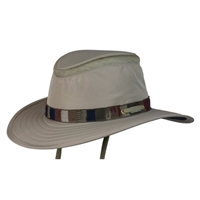 Look cool, stay cool, with the Henschel Crushable Leather Explorer Breezer Hat. The mesh crown allows breathability and the tan cowhide suede with braided trim offers style. 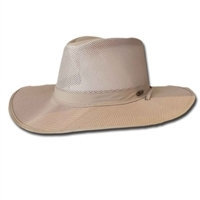 This hat's three inch brim is sure to keep the sun out of your eyes during a hard day's work too! Round up the cattle and ride off into the sunset with the Breezer hat. suede w/ Mesh ventilation.